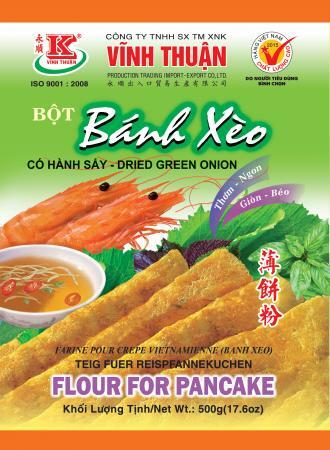 1.Mix evenly the flour and a pack of instant yeast with 350ml of first extract from coconut milk, then knead the mixture in about 20 minutes, and keep it closely in half an hour. 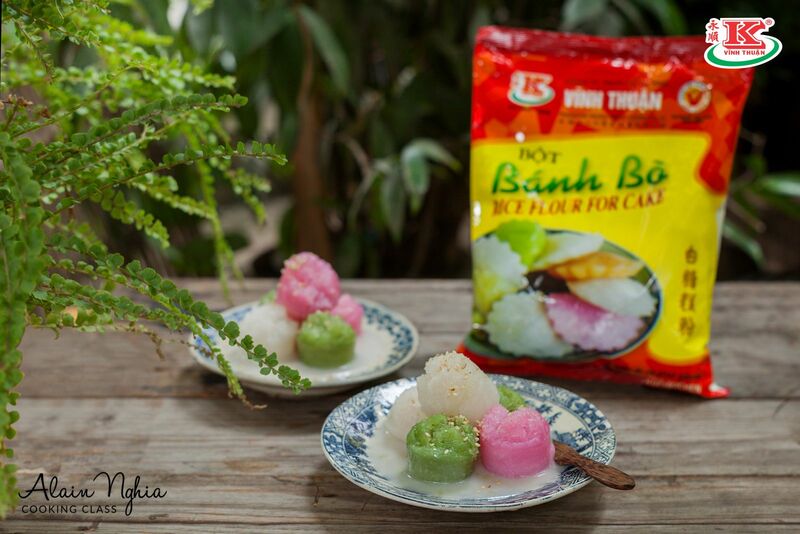 2.Dissolve 400g of sugar into 450 ml of first extract from coconut milk (in order to make "Banh Bo" spongy and fatty, or you can use fresh coconut extract so that "Banh Bo" can be transparent and less fatty), boil the water for dissolving sugar. Pour the warm solution of water and sugar into the kept flour, keep it in another 30 minutes until the flour bubbles up. 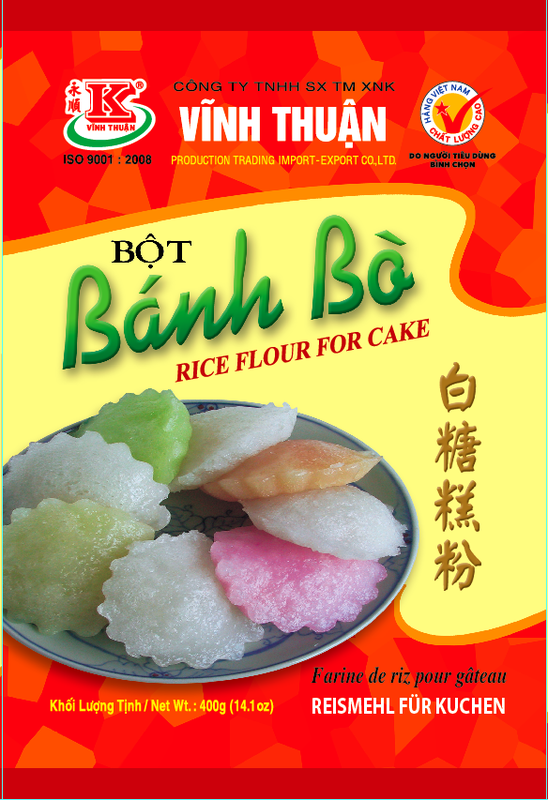 3.After that, steam "Banh Bo" in 25 - 30 minutes (keep the high temperature in order to make "Banh Bo" more spongy).